You only need to read these instructions if you have our slim USB CCD option. If you have the FLIR CMOS option, you need these instructions instead. If you have the high resolution CCD option, you need these instructions instead. If you have the Macro camera, you need these instructions instead. If you have the 1CCD Laue camera, you need these instructions instead. If you have the 2CCD Laue camera, you need these instructions instead. If you have a standard video camera, you need these instructions instead. 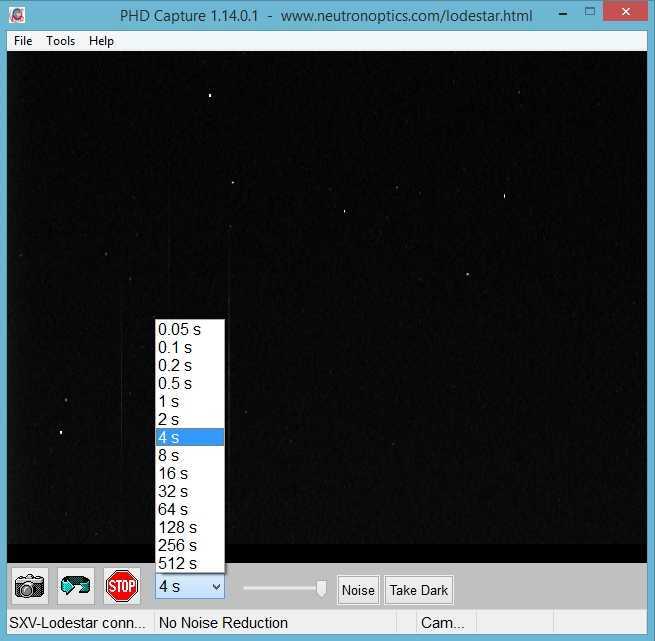 You can download the NeutronOptics software CD for the slim lodestar camera here. These instructions are for Windows-7; for other versions they may be slightly different. 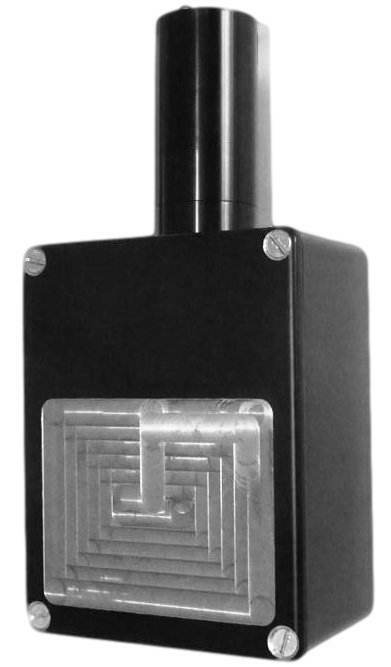 NeutronOptics x-ray or neutron cameras can be supplied with an optional slim CCD unit, with either 752x580 (lodestar) or 1392x1040 (ultrastar) pixels. 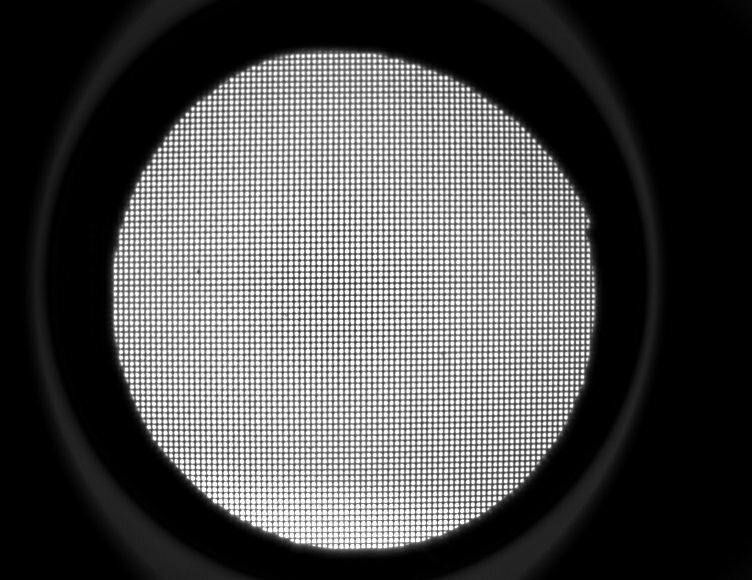 The slim CCD has far higher 16-bit intensity resolution compared to only 8-bits from the original "video" CCD. This CCD unit cannot be Peltier cooled, and is connected to a Windows computer via a single USB-2 cable used both to control the camera and collect the image. Amplified 10m cable extensions can be supplied. The mini i-Cam is the simplest form of this camera. 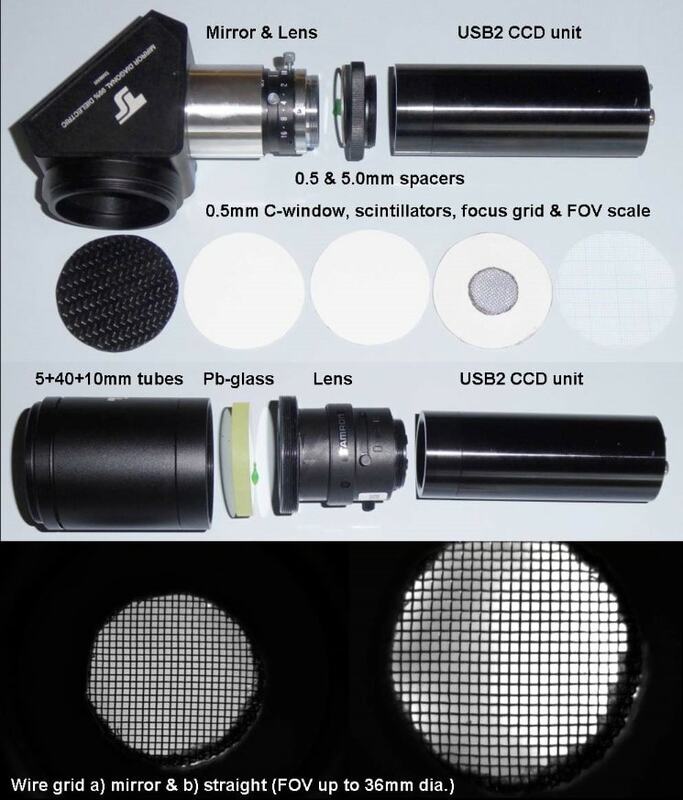 The following instructions apply, but first remove the O-ring holding the carbon window and scintillators to check the focus of the camera using the focusing grid with ambient light. Select one scintillator and cover it with the C-window and O-ring. Thinner scintillators give higher resolution but lower intensity: the neutron scintillator is yellow. 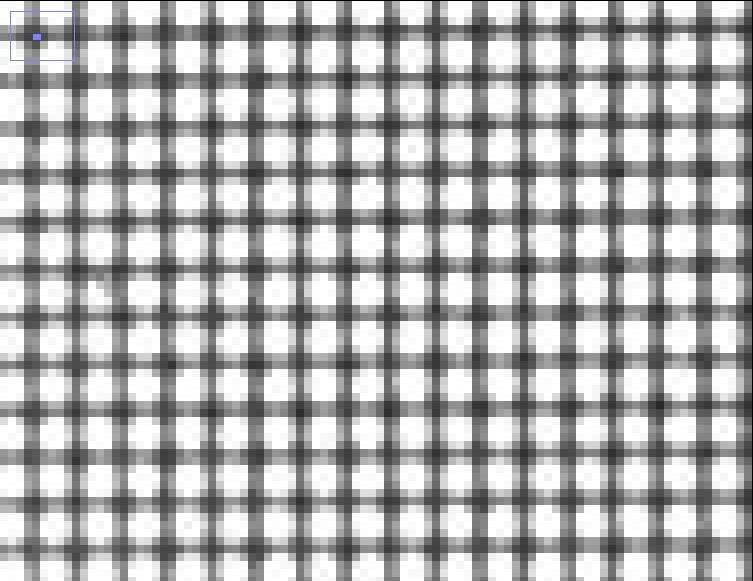 With the 580x752 pixel CCD (8.6µ pixels) a 310µ grid can be imaged over a 35mm diameter to a pixel resolution of 50µ (x8 detail). Observed resolution will depend on the scintillator. Click Windows "Start" and open "Devices and Printers"
Double-click "Unknown Device", select "Hardware", "Properties"
If you use the 10m amplified USB extension, first plug it in without the camera. ImageJ-for-ASCOM is best for the most sensitive acquisitions, but first try these. If you just want to see your sample in the beam, with cyclic exposures of from 0.05s to 512s, you can install this simple free application for which you just click the Loop/Stop buttons after selecting the camera. The 16-bit image is updated in real time, and you can save it then open it with ImageJ to remove noisy pixels and enhance it in other ways. Download and install the free PHD Guiding application. Download our custom PHD.exe to overwrite PHD.exe in the PHDGuiding folder. Launch our custom PHD.exe to display the image and controls. For Macintosh systems, just use the standard OSX PHD Guiding application. The PHD display is 752x580 pixels, full size for the LodeStar, ~half size for the UltraStar. Use the ASCOM driver for sharper images, better noise reduction, and hardware binning, which will increase intensity at the expense of resolution. You should first install the ASCOM Platform 6 environment. The ASCOM driver is installed in C:\Program Files\Common Files\ASCOM\Camera and you can use Control Panel/Programs or the ASCOM Profile Explorer to remove it. In the ASCOM camera chooser, select "Starlight Xpress Lodestar Guider" (or "Ultrastar"), click on "Properties" and un-select all options. Click on "Noise" to filter out hot pixels (see Hints below). Starlight Live automatically collects a series of images, and can sum them in real time. The 16-bit images can be opened with ImageJ to remove noisy pixels and de-interlace. Launch Starlight Live to automatically connect to the Lodestar/Ultrastar camera. See a complete description of Starlight Live, which is becoming the preferred software. Set Filter to Median 3x3 to filter out noise (or filter noise later with imageJ). In the Display tab bracket the intensity between the Dark and White Levels). Real time stacking of a series of short exposures is an important advantage of Starlight Live. It allows you to see the intensity accumulating with time, and judge when to stop. 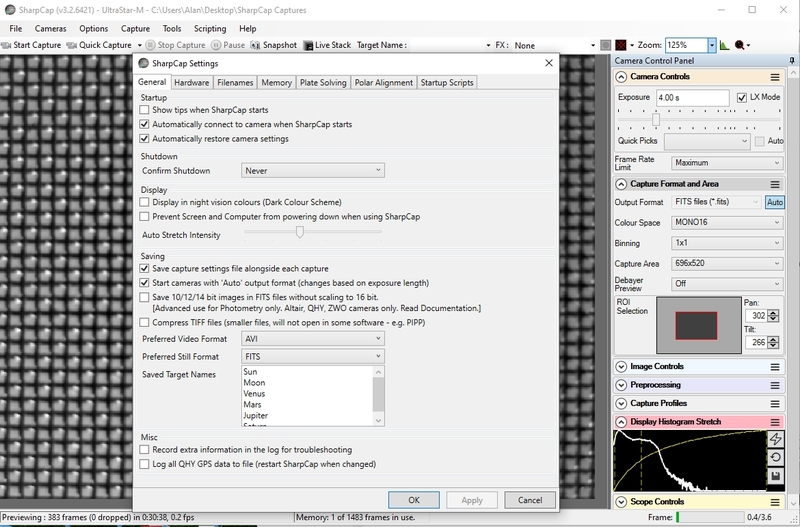 SharpCap 3.2 was also designed for amateur astronomers, and contains additional features that you will not need for x-ray or neutron imaging. Download the 32-bit version of SharpCap. The camera will be automatically recognised if it is plugged in, and you just need to choose it from the “Cameras” menu. A window will open with the image and camera controls on the right. You can arrange the order of controls by dragging the 3-line icon. (Click the image to enlarge it). In the "Camera Controls" you can set the Exposure (toggle LX mode for long exposures), the Gain (higher gains also increase noise) and you can read the sensor temperature. In the "Capture Format", select TIFF or FITS and Mono16. You can drag the vertical line in the "Display Histogram" to stretch the intensity display to emphasise the lower intensities (and see the above noise). An important advantage of SharpCap is real-time stacking of a series of short exposures, which allows you to judge when you have accumulated sufficient intensity. Click on the "Live Stack" icon above the image display to open this stacking window. You can drag this window so that it does not cover the image. Switch off "Align Frames" which refers to alignment based on stars. Most of the controls to the right are also for astronomers; only the live histogram is useful, but normally you would save the summed stack as a 32-bit image and filter noise from it with imageJ. ImageJ is recommended for image analysis. ImageJ will open the raw FITS files, then remove noise, modify contrast and other properties, and save them in various formats. More importantly, it will allow you to measure intensity profiles and display your data in ways that will make it more meaningful. If you install the ASCOM Platform 6 environment, and the sxASCOM camera driver, you can control the camera directly using ImageJ for ASCOM. This has advantages in that sequentially acquired images, eg for tomography, are opened directly in ImageJ. You can even simultaneously aquire images from two cameras and stitch them together. When installing the sxASCOM camera driver, choose to install a "Starlight Xpress Standalone Guide Camera", then choose a "Starlight Xpress LodeStar Guide Camera" (or "Ultrastar"). There is no need to install ASCOM drivers for the other cameras. After choosing the "Starlight Xpress LodeStar/Ultrastar Guider" in the ASCOM chooser, click "Properties" and unselect every option, but choose "Double Exposure Short".